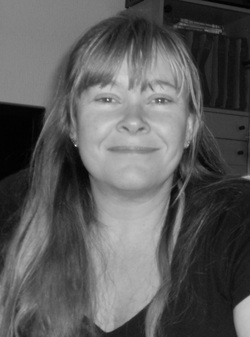 At the age of forty, with a loving husband and three children, she was diagnosed with advanced bowel cancer. Lisa is one of those beautiful people who touch many lives in the most gentle ways. For the past one and one-half years, Lisa has been fighting the beast called cancer like a tiger, and inspiring a large group with her courage and generosity. Penny Sartori has been doing a series of articles for The Daily Mail about near death experiences or NDEs. The latest report had me thinking about my own experience. Here’s the link to Penny Sartori’s article: The Children Who have Near Death Experiences. And here is what I thought about NDEs–I was four years old when I had my near death experience. For weeks I had been suffering from a cough that became steadily worse until one day my parents lost me in the house. They found me hidden in a wardrobe rambling madly with a high fever. At that point I was rushed to the hospital.I don’t remember being delirious in the wardrobe, but I do remember being high in the sky watching my parent’s car pull into a car park. My emotions were detached, I felt nothing, no pain, no fear, no excitement, maybe a slight pull of curiosity as a man I recognized as my father jumped out of the driver’s side. He raced around to the other side of the car to take out a tiny limp body from the back seat. My mother was there too, and the two of them ran off. This is when the odd became most peculiar. I know now they were running to the hospital, but what I saw was far different. There was a crystal city. 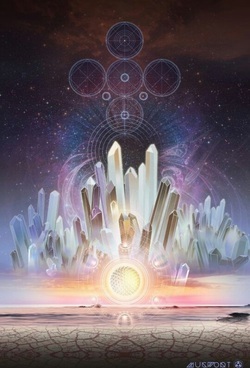 That is what I have always thought of it as: an enormous city of crystals taking up the entire horizon internally lit with this wonderful silvery-white light. There was no longer an absence of emotions in me, this vision was calm, welcoming, and so very beautiful. Way down below, my mother and father were running towards the crystal city with my father still holding that tiny limp body. For me there was no tunnel, no being asking me to return, no relatives to greet me, and no urgency to get back to a broken body. I simply came back to myself, all of a sudden. The vision of the crystal city was replaced with a cubicle in the hospital. I was on a bed. A blue curtain was pulled across for privacy. A nurse had a tube down my throat and I coughed my way back into life. This was no dream. They fade over time. This is a memory of a happening. Just as I vividly remember the house we lived in at the time, I remember floating above my body. Just as I remember the family holiday on the island of Sky nine months later, I remember the glowing crystal city and how it seemed to be an excellent idea to go there. Lisa has created the most marvelous novel in her collection of both fiction and nonfiction books. This is a must-read book about a fictional character, Kathy Wyatt, who is very familiar to those who know and love Lisa. Lisa’s novels Plague and The Ultimate Choice have featured regularly on the UK Amazon bestsellers charts and are now published in the USA by Simon & Schuster.